If you feel like living an alternate life, but want things to be a lot simpler, then BitLife may just be the game for you. This life simulation game for Android and iOS devices where you get to live out a person’s life through a series of text-based decisions. You start out as a baby and progress through life year by year. You will have to go to school, graduate, find a job, start a family, and so on. The game goes on like this until your character dies. Since each life is unique, you get to aim for different things with every new character. 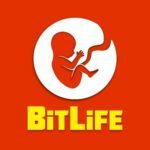 We have already provided a comprehensive BitLife beginner’s guide that covers a a lot of aspects of the game. But now we are back with even more BitLife cheats, tips and tricks to help you out on your journey! Living your life a certain way can earn you some ribbons. If you want to take the guesswork out of the equation, check out our BitLife cheats, tips and tricks for getting all the ribbons! Before you get started on aiming for those ribbons, there is one thing you should keep in mind. You can only earn one ribbon in each lifetime. Even if you qualify for multiple ribbons, you will still only earn one. That means don’t bother aiming for different ribbons in a single lifetime. This is especially important since you won’t know which ribbon you earn until your character dies. Some ribbons are more difficult to earn than others, so you don’t want to work hard at getting one particular ribbon only to end up earning the easy one. The best thing to do is to aim for the easier ribbons first then just take the game seriously when you only have the difficult ribbons left to earn. In BitLife some ribbons require very little effort to earn. In fact, you might not earn them if you try too hard. Try to aim for these ribbons first to avoid wasting a lifetime of work only to earn these unintentionally. We have listed the easy ribbons below to make things even easier for you. Lazy – This ribbon can only be acquired by literally doing nothing. Just spam the Age button until your character dies. If you are lucky, your character will have a short life. Otherwise, prepare for several minutes of doing nothing but aging. It’s pretty boring but it requires the least effort. Wasteful – This is an even easier way to earn a ribbon since you don’t have to wait for several years for your character to die. Just head into the Activities section then choose End Life. Your character will die instantly and you automatically earn the ribbon. Fertile – This one does require a bit of effort, but it isn’t really that hard to earn. All you have to do is to try to have kids as early and as often as you can. You will earn this ribbon if you have four kids before your character dies. Mediocre – You can earn this ribbon nearly the same way you earn the Lazy one. All you have to do is live an uneventful life by ignoring all incidents. You should also choose a dull, low-paying job and stay there. Try to be as boring as you can but still do something other than spamming the Age button. Aside from the ribbons that are easy to achieve, you could also aim for the negative ribbons early on before trying to achieve the difficult ones. There are two negative ribbons in the game and acquiring them means misbehaving throughout your life. The first one is Lustful, and it can be pretty fun. You just need to hook up with as many people as possible before your character dies. There is no specific number, just always accept any opportunity to hook up with someone. The second negative ribbon is the Scandalous ribbon. This time around, you just need to choose the naughtiest option available. Start fights and assault people whenever the option is available. Try to land yourself in jail and just generally cause trouble throughout your lifetime. Now that you’ve had your fun, it is time to take things a bit seriously. You will need to work hard in order to achieve these next set of ribbons. You may also need some luck if you are to complete this list. Check out how to acquire the difficult ribbons below. Make sure you only aim for one of them at a time to avoid wasting your efforts. Rich – You need to have at least 2.5 million net worth when you die. You don’t need to have it in the bank, though. Your assets also count towards your net worth, so you will still be able to get this ribbon even if you have pennies in the bank. Loaded – This is the more difficult version of the Rich ribbon. You need to have at least 30 million net worth in order to qualify for it. Just as with the Rich ribbon, you don’t need the 30 million in the bank. Just have a bunch of properties that meet the required amount and you should be good. Academic – This is the ribbon for achievers. Aside from studying a lot, you will need to get a college degree. You should also choose a job that is related to academics to increase your chances of acquiring this ribbon. Keep your smarts high throughout your life by staying on top of your studies. Hero – This is the good counterpart of Scandalous. Instead of starting fights, you should do your best to avoid them. Always be forgiving and help everyone you can. It would also be useful if you took a heroic job like a doctor, a firefighter, a nurse, and so on. Unlucky – This is listed under the difficult ribbons but there is very little you can actually do to intentionally acquire this. Being unlucky means your character has to die young because of unfortunate circumstances. You could either be diagnosed with a terminal illness or die in an accident. You could try driving your car often, but it is really up to chance if you are going to be lucky enough to get the Unlucky ribbon. Collecting all the ribbons in the game is easy when you rely on the cheats, tips and tricks we have listed above! If you have any other BitLife tips, tricks or hints, let us know below in the comment area!